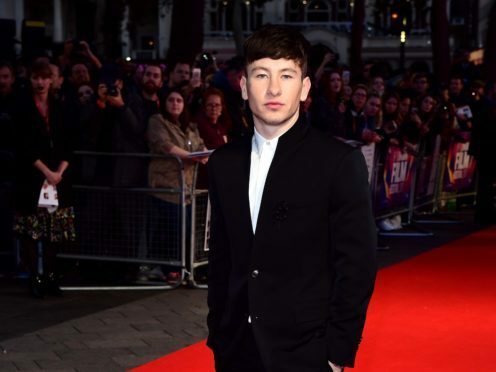 Irish star Barry Keoghan has said his latest film about a real life art heist at an American university gives audiences an insight into the devastating repercussions of the crime. American Animals tells the story of a group of students at Transylvania in Kentucky, who devised an audacious plans to steal rare and valuable books from the school’s library. The actor, who has previously starred in Dunkirk and The Killing Of A Sacred Deer, told the Press Association: “I’m not saying it to be biased because I’m in it but it’s like no other heist film. Keoghan added he was motivated to take on the role of art student Spencer Reinhard because of the film’s director, the British documentarian Bart Layton, who achieved acclaim for his project The Imposter. He said: “Nobody wants to be ordinary and Bart used that line in the film. “I wanted to do this because of Bart, after seeing The Imposter and then hearing Bart was making a feature film, I thought ‘I’ve got to get in on this’ and then when I read the script it was just class. “It gives you an insight and shows you all the emotions and you feel cold watching it. Layton added: “This is a movie about young people almost trying got inhabit their own movie. “When I first came across the story, it seemed like a very unbelievable plot to a movie and it was all true. “Everyone loves a heist movie, there are tropes to it which fit really neatly in a dramatic arc – it’s case the joint, assemble the team. “Naturally what that structure does is present this ‘what happens next?’ question, you’re constantly asking how is it all going to play and you add more detail and there is something very enjoyable about that but then there is also the opportunity to turn all of that upside down. “The difference with most heist movies is we don’t really get to play along, you don’t really get to experience the sense of what that might feel like, if you were to attempt something as outlandish and ill advised as what they did. Layton added that he sees it as the opposite of the glamorisation of a crime, saying: “I think what you see in this is the raw brutal reality of what that would feel like. It goes from something which feels like a good idea to something which feels the opposite of glamorous. American Animals is out in UK cinemas now.